As a musician, Sarah has become fairly prolific. Consistent in her excellence, she has released seven proper albums, with the seventh, Near Infinite Possibility having been released last month. Near Infinite Possibility continues everything Sarah has done throughout her career, whilst never once re-hashing or recycling. Strengthening her more alternative leanings, the album proves to be one of the more powerful and varied additions to her catalogue. 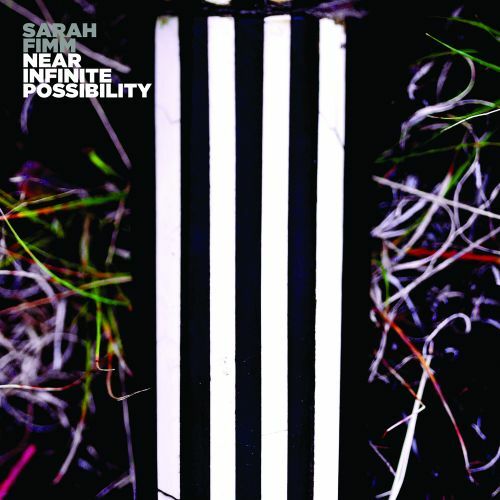 Not only that, but Near Infinite Possibility could very well be Sarah’s most cohesive, intriguing, and ultimately best recordings to date. The album once again displays Sarah’s unique and wholly wonderful vocals, as well her keyboard skills, which have been somewhat of a staple of hers. She has a very deep, wholesome voice, and it is truly her greatest asset. Beautiful and mysterious, her voice exudes confidence, and sounds perfectly controlled. While the album mainly coasts along an “indie pop” sort of line, it often veers into a darker, more thoughtful path. The beats and electronic elements that once dominated her sound have now been replaced by a more emotional, accessible style. As a whole, the folk-ier aesthetics Sarah has been working with have somewhat dissipated, leaving a whole filled with a variety of different genres and sounds. Near Infinite Possibility is a much more bold and dynamic affair, featuring chilled electronics, alternative rock, indie, and even some ambiance and psychedelic. As contrived as it may sound, the album is quite literally a cornucopia of different influences. Yet what is presented is much more than a bounty of genre mashing. Sarah has thoughtfully and meticulously blended every style into one cohesive sound; a sound that is all her own. Each song is a completely unique piece of music, with only a few tracks seeing any sort of slouch in quality. Pieces such as “Yellow” and “Everything Becomes Whole” represent the darker themes, and more solemn songwriting, and coincidentally are some of the greatest songs she’s ever written. However, a few songs sort of stumble, in that they just don’t match the amount of excellence displayed by the others. “Soul Let Swim” and “Closer” are decent songs in their own right, but sort of fall flat in comparison to the others, coming off as somewhat skippable and bland. Despite a couple of hiccups, Near Infinite Possibility still manages to be one hell of a record. Sarah Fimm once again proves that she is a true musician at heart, letting her creativity and love of the art guide her through the songwriting process. Because of this, the album stands as a testament that more artists should be like Fimm. Maybe I’m gushing. Maybe I overplay her as an incredible figure in today’s music scene. Perhaps I do, but it stands as a testament to my belief in her as a type of artist we need more of-- an artist who knows the importance of putting music first, and one who absolutely loves what she does.